Reactive Electrical are experienced in providing business premises with emergency lighting. We can install this into any buildings including offices, restaurants, schools, hospitals and shops. Once installed, our emergency lights will come on as soon as you have any kind of power failure. They will provide you with sufficient lighting enabling you to find any emergency exits situated throughout your business premises, ensuring you can leave safely if the building needs evacuating. They can be used for temporary lighting until we find out why your lighting is not working properly. Once we have found the problem, we will fix it and then test it to make sure everything is in order. We will then provide you with a certificate to say that this service has been carried out professionally. The Emergency lighting we use has the benefits of a battery powered back-up, so if you was to have power failure then they will remain illuminated at all times. The mains supply electricity keeps the batteries in the unit charged and can be carried either within the light itself or accessed by an independent wired circuit. An example of this is emergency exits and escape routes, if building needs to be evacuated quickly and safely then the escape routes must have emergency lighting in place. We can help you to ensure that your business premises and staff are protected and most importantly that your company fulfils its responsibilities by complying with the latest fire safety regulations. 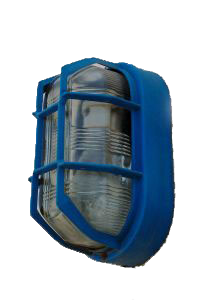 We are able to offer you a wide variety of emergency light units, lamps, batteries, inverters and exit signs. Contact us for more details if you would like to find out more on what lighting solution will be best for you.